Informative and makes a clear narrative of complex happenings. Likely to be enjoyed by general readers, rather than academics. 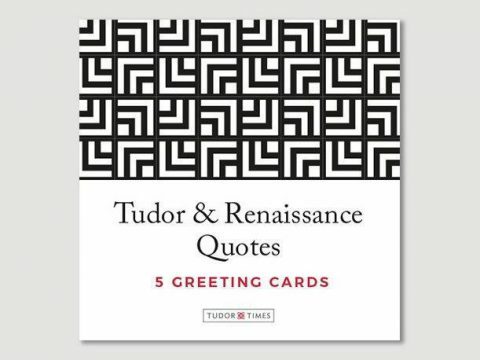 I was looking forward to reading this, as I enjoyed Matusiak's previous work on Henry VIII. One of the things I had liked was his writing style, a little more colourful and individual than just the bald recital of facts that some historians use. However, as time went on, the careful alliterations and the well-chosen adjectives began to pall, and seem over-written and contrived – "the icy flood of events began to reach the Cardinal's nostrils". Maybe simplicity is not such a bad thing! Matusiak has made much more of an effort than most of Wolsey's biographers to think about Wolsey's internal self. He is shown not just as the proud and vainglorious "peacock" but an incredibly hard working perfectionist – unable to delegate, prone to stress-induced illness and bursts of anger when under pressure. Matusiak shows how, the more Wolsey achieved, the more was expected of him – he could never rest. He had given Henry VIII to think he was invincible and he had to keep delivering. The author's general style leans towards the sceptical, if not the cynical. Most of the characters presented are shown with all their flaws, and if there is a choice between motives, the less virtuous one tends to be presented. Henry, in particular, is shown as not much more than a conceited buffoon, entirely led by his vanity. There is, of course, some truth in this, but it is only one strand in a multi-layered personality. Where Matusiak really adds to our knowledge of the Cardinal, is in his early days – the relationship with Henry VII, that so many writers mention only in passing, is filled out, and the development of his working partnership with Richard Foxe, Bishop of Winchester. He also disagrees, with excellent reasoning, with Peter Gwyn whose biography of Wolsey is the standard work of reference, on the importance of Wolsey's time working for the Deputy Lieutenant of Calais, Sir Richard Nanfan. Matusiak shows how this experience equipped Wolsey for his later administrative roles. He also demonstrates that the idea that Wolsey aspired to be Pope is quite unsupported by the evidence, and that much of our view of Wolsey comes from his enemies, writing after his fall – and that certainly part of his unpopularity with the nobles was based on Wolsey's determination that they should obey the law like lesser men. It is clear that the author admires Wolsey's cleverness, what contemporaries called his "angel wit" and his enterprise. No sooner had one scheme failed, than Wolsey would have another in hand. Matusiak also lays out very clearly that in the last great matter, that of the annulment, Henry's actions completely undermined Wolsey, and could well have prevented the grant he so desperately sought. 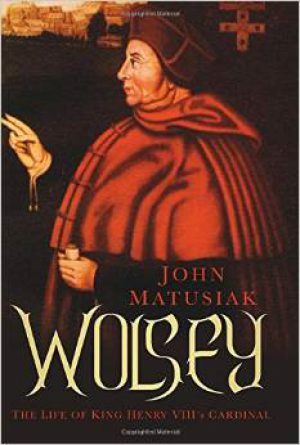 Overall, Matusiak creates a very clear narrative from a mass of events, and the book is a good guide to Wolsey, although he is much less penetrating when considering the other people of the period, being inclined to repeat old generalisations. This review is included in a Profile on Thomas Wolsey available for Kindle, for purchase from Amazon US and Amazon UK.